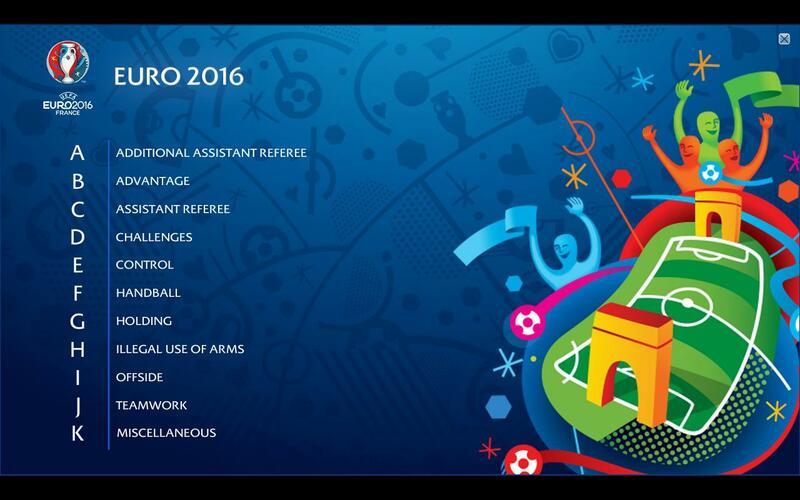 Uefa launches a Refereeing Assistance Programme twice a year. It contains clips of recent match situations. 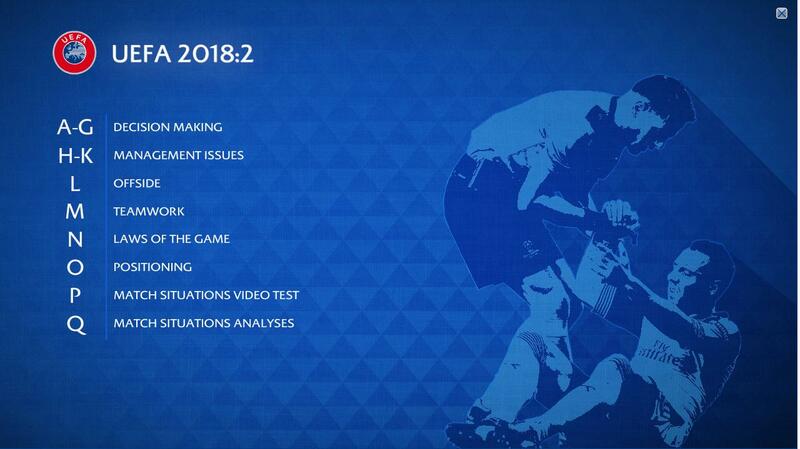 You can install this on your pc or mac and train your refereeing knowledge. In case you missed it, it’s quite interesting material to develop yourself. 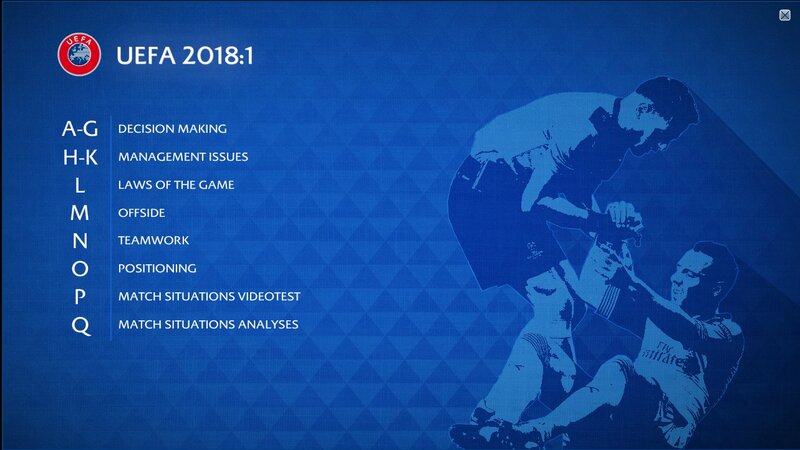 Thanks to readers of my blog I can present you Refereeing Assistance Programme 2018-1. Please be aware the files are huge (10GB), so download via wifi. Some experience problems with installing MAC versions. This document might help you. Thanks to readers of my blog I can present you Refereeing Assistance Programme 2017-2. New situations from the last six months. Quite interesting for us all. Download the files and practice at home. 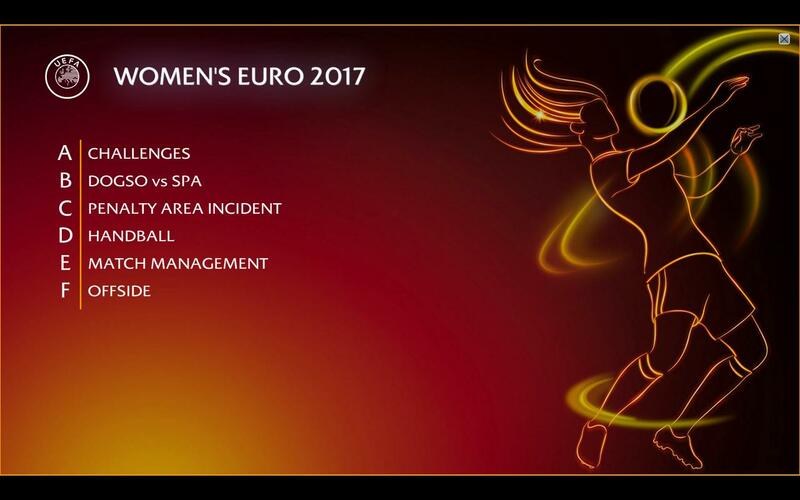 A great download with match situations from the Women’s Euro in 2017. I am trying to get the 2017-2 version for you, but can already share the first edition of 2017 with you. In a few days I hopefully also have the Women’s Euro version. 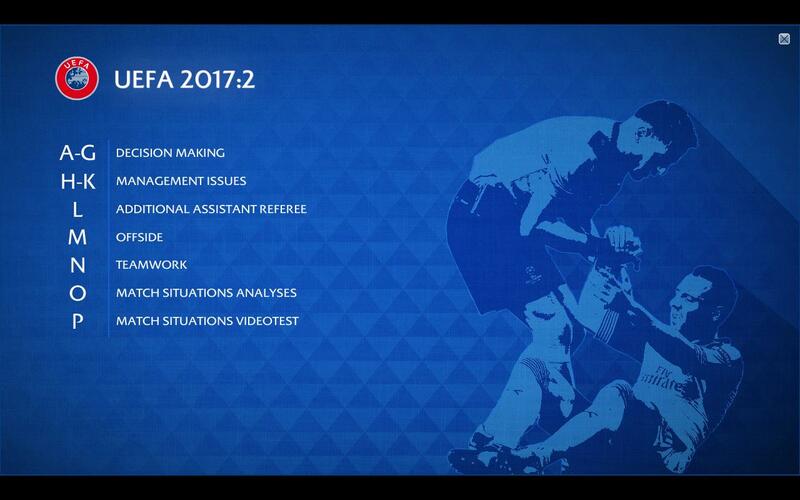 Download Refereeing Assistance Programme 2017-1. Please note the files are links to WeTransfer files. Because the size is about 5 GB, make sure you have your wifi on. I personally have not tested the MAC-link, because I have a PC. I got these links via Arbiter Café on Twitter. Much appreciated! You can watch video’s in different categories, but will not see the correct call immediately. Make sure you think for yourself what decision you will make. Then you can click at the right bottom text, which gives you an explanation. This is awesome tool to train for match situations. Good to hear you like it. I might be able to provide you with the 2017 version soon. Bom trabalho.aprecio muito o seu trabalho do ponto de vista pedagogico. 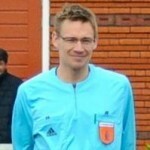 Belmiro carmelino ex arbitro Fifa e Comissario Caf. Thanks. Will try to keep posting new programmes when available. Thank you so much for this, it is brilliant. Can’t wait until you upload the UEFA 2017 (2)! Looking forward to more SPA examples and the new interpretation. Will be there soon. Bit too busy, but it’s getting there. It’s indeed quite good education material. Enjoy it! Anyone having issues with the MAC version of RAP_2017_2? No Mac for me. It’s the original file/folder btw. Not sure why that fails. Or it is because you have the newest Mac version. I too had the same error for the Mac version. Remember that the files are a few gigabytes. Did you download it on pc or mobile? Pc or Mac works the best, but you still need a lot of space available. UEFA RAP 2018. 1 ? Not yet available, but will ask around. uefa rap 2018 1 ? It will be here soon. Just got it and had a problem with the hard drive. Stay tuned! These are the original links from Uefa. What issues do you have? Thanks for the 2018 update. The one thing that I really noticed was how many of the challenges in the SPA/DOGSO category that UEFA wants given as yellow cards where the ref only gave a foul. After watching an entire World Cup where clear SPA offenses were simply given as fouls, I’m surprised to see UEFA take this line in their videos. It’s my personal opinion that the top level should have way more SPA yellows given and I can only hope this is a hint that UEFA agrees for the upcoming season. I won’t hold my breath though. It’s possible to have in french? This is the release by Uefa. Don’t know if they make it in other languages. Really Grateful to U Me. Jan. This is such a significant one to improve Refereeing Skills & knowledge. Hello, How do I switch on to see the explanation? Hi David, at the right bottom is in some versions a button with “video info”. 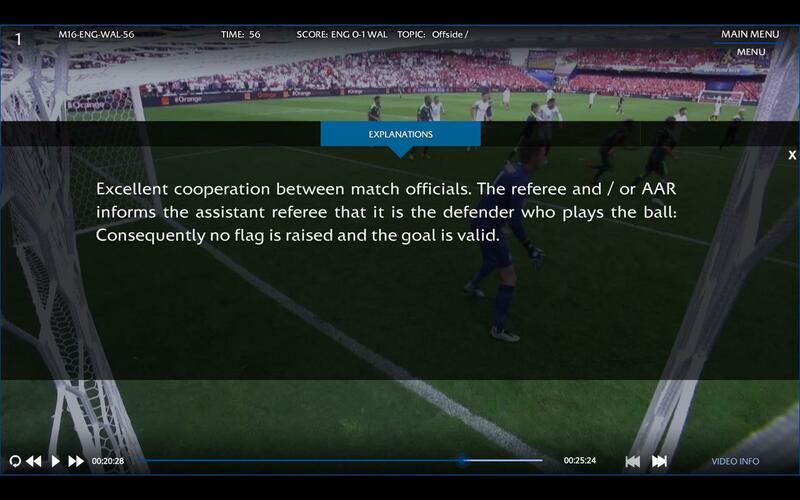 That gives you a pop-up screen with the explanation/verdict by Uefa. Thanks for following my website. Hi to the Egyptian referees! I hope it helps you all develop as a football match official. But I can not see it because it is not active. Long ago down arrow + J. Now? If you click the right link you should go to a WeTransfer. But be aware the file is 10 gigabyte and that is quite a lot. Thanks a lot for your job. Do you have any idea about the date of issue of 2018-2? No news on that yet. Will ask around. is it possible to use the program on a tablet? The size of the program is a few GB. Not all tablets would have enough space. And I haven’t tried installing it there. Hey Jan, check Law 5. The 2018-2 seems to be available. Got them as well, but was asked to wait. Will post them online now. good morning the program uefa rap 1, will have the link in some other available server.? What do you mean with one? The 2018-1 works perfectly. I want to express my very depp appreciation for your sharing of these valuable learning materials, referees from our FA wouldn’t be able to improve their skills through analyzation of these specially selected videos without your sharing. Thanks for your message from China. I hope you like them and I’ll try to keep it updated all the time.